What does it take to become a great place to work? Over my career, I have worked at some amazing companies. Each place taught me something about what makes a company great (or not so great). But, where I have learned the most about being a great place to work is at my current company, CHG Healthcare Services. This week is one of my favorites every year. 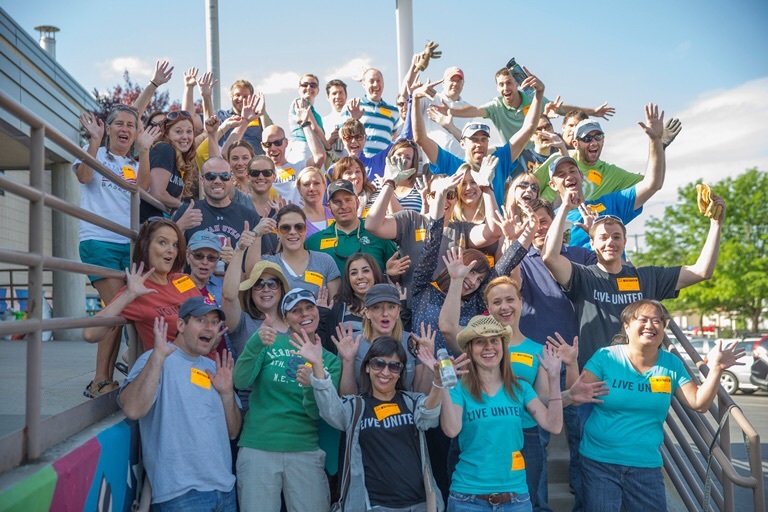 We celebrated our sixth consecutive year on Fortune Magazine’s “100 Best Companies to Work For” list, ringing it in at #16 for the second year in a row with the last four years in the top twenty. Although this award isn’t why we focus on building a great place to work, it is certainly an accolade we are proud of achieving. So, what have I learned in my close to five years at CHG about creating a great place to work? 1. Trust is at the core of cultural success. In fact, Fortune’s evaluation to achieve a spot on their Best Companies list requires that you have a culture of trust (as measured by an employee survey) that measures “management credibility, the respect with which employees feel like they are treated, and the extent to which employees expect to be treated fairly.” Take aside the theory on this…my personal experience aligns with this. An environment that is steeped in trust accelerates the degree to which people want the organization to succeed and thus drives their contributions. Plus, it is just a better place to spend your days. 2. Transparency and vulnerability builds trust. In order to achieve this level of trust, employees and leaders must be transparent with each other as to both the current reality of the business as well as our individual engagement in the organization’s cause. Some of my most powerful moments as a leader have been moments when I share the real person I am with my team, or when I share explicitly that I don’t know the answer to the problem or issue at hand. Through these moments, my team realizes that it is both okay to be who they are, as well as to admit when they don’t know the answer. By doing this, we resolve the challenges faster and to come up with better solutions than any of us could ever do on our own. 3. Accountability builds trust. As with all businesses, at CHG, we are aiming to grow our company’s bottom line results. Sometimes, I read about companies building a great culture through adding high-end benefits, sabbatical programs, super cool workout facilities, etc. Although all of these are great, and do with certainty make a work environment better, they aren’t by any means the only thing that makes a great culture. Delivering on the results we set out to achieve, through personal and team accountability, creates wins for the organization and for individuals. If we are accountable and deliver what we say we will deliver, we build a culture of trust. 4. We need to have fun, and be proud of what we do. Work is work, but the more my team members and others around me at CHG can enjoy what they do, the people that we do it with, and be proud of the work that we do, the better our culture becomes. In order to be proud of what you do, it may take something different for every single person within the company. As individuals, we need to find our way to be proud and make it happen. 5. Building a great place to work never stops. I think that one of the biggest mistakes that people make when working to build a great culture is that they see it as a project or an initiative as versus a sustainable organizational commitment. There is no big bang, no silver bullet to building a great culture. Instead, it is a series of steps, both small and large, that get harder the better you get. Recently, my friend pointed me toward an article in the recent Utah Business magazine that gave the facts on the employment of women and men in Utah and their current wages. The data was sourced to the U.S. Census Bureau 2008 – 2012 American Community Survey. And, it made me sad. Out of just over 1.2 million employed, civilian workers females made up 44.4% of the workforce and earned a median $20,053 per year (compared to males at $39,880). In doing some follow up research, I got a lot more sad at the current state of affairs in Utah for female professionals. It ultimately makes me worried for my daughter, wanting to figure out a way to help her lean to navigate the workforce reality. USA Today stated in a recent article that Utah is the #1 worst state for women. The methodology for their rating looks at wage gap, women in private company leadership, women in state legislature, poverty rate and infant mortality rate. The article even noted that in Utah, women are holding less than 1 in 3 management positions. I have been a resident of Utah for about 10 of the last 13 years. I never thought I would live in Utah. I met Jon at a wedding in Ohio, and I vividly remember him telling me he lived in Utah. Utah? I knew California, Las Vegas, Yellowstone and the Colorado rockies, but Utah? Weren’t people from Utah either Mormon or ski bums? Jon didn’t seem like either when I met him, so I went with it. I was simply a love-struck 20 something, wondering more about where our next date weekend would be than the state of the workforce for female professionals. I ultimately moved here, have fallen in love with the place, and have led about half of my 16 year career in the state. Now, I consider myself a Utah local, a professional woman, and one of the apparently few female company executives in the state. I sit here thinking about how my role as a female executive can help drive change. It is ironic to think this way, because I rarely, if ever, think about being a woman at work. Over the years, I have come to work, tried my hardest to succeed every day, looked for opportunities to stretch myself, learned a lot, and ultimately tried not to take no for an answer. By not defining myself using my gender, I have never seen professional boundaries. This boundary-less world view has by its definition opened up my eyes to opportunities that I would otherwise never have seen. I want to help, and take a purposeful role in making the future better in Utah for women. But, I feel stuck. Due to the fact that I am a working mother of two, and have the job that I have, I have little time to give to anything beyond my family and my job. I feel guilty and sad to see this state of affairs and not be able to give more to help change it. That said, this reality I live in of having to forcefully prioritize the time that I have, has been one of the things that has made me successful over the years. So, my game plan is to help in the way my schedule and life allow. I figured writing down a few commitments would help me to remember to stay accountable. And, most importantly, never give up on my own dreams. Shape them to be what I want them to be, not what others think is the right answer. A short but important list that will hopefully help make a difference. 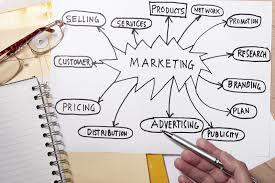 Marketing Plan Choices: What Do You Recommend? Do you recommend we invest in additional lead generation or shift our marketing mix towards brand awareness spend? In just the last week, I heard or participated in this discussion at least 5-6 times within my team as we put together our marketing plans and budgets for 2015. Although our operationally-focused company has a conceptual belief in building name recognition, our willingness to do things that build awareness, particularly things that cost money, is limited. One of our company strengths is that we invest in marketing (and other programs) and focus on measuring their success with a laser-like focus. The good…It brings an attention to execution excellence that is outstanding. The downside, it often brings a lack of focus on long-term choices which cannot be simply measured. The implication of this is those long-term choices often get put on the back burner in our plan recommendations. It takes me back to my days as a P&G junior marketer, and the introduction of marketing mix modeling (MMM). I don’t know when this process first took hold at P&G, but my first exposure to them was in 2003 when we were trying to effectively plan our multimillion dollar marketing budget and identify the right balance between advertising and trade spend. At the time, retailer influence was growing dramatically, and the only way to afford the trade spend and price promotions being requested was to cut our television and print spend. Was this the right plan? If you looked at the traditional media metrics of reach, frequency, GRPs and TRPs there was no way to spread our message more efficiently than with these marketing choices. As brand managers had a fundamental belief that investing in this media helped drive the effectiveness of our customer promotions (price promotions, coupons, displays at retail, etc.). Our sales partners, and our retail buyers didn’t necessarily share this belief. The beginning of MMM was an attempt to not only guide our decisions, but reinforce to these other important constituents how all of these pieces worked together to drive revenue. As with anything, the results of this effort were only as good as the information and effort that was put into the tool, as well as how effectively we interpreted the outputs. I don’t know if we ever reached the goal of driving cross-functional alignment to our marketing choices, but we did learn a lot. At the core, we learned that all of our marketing choices helped make the others more effective….that in a perfect world we would run in all parts of our marketing mix simultaneously as this created the best revenue results. Since then, the progress in both the modeling and the marketing analytics industries has been substantial, as has the shift to digital media. About a year ago, the Council for Research Effectiveness published a whitepaper regarding the state of MMM. Don’t read this one unless you are ready to geek out. As I think about the conclusions in this analysis, one particular thing comes to mind: no modeling, no analytics, no measurement of return-on-investment works without applying our human instinct to interpret the analysis. We are often stuck believing that the “data will tell us something.” My experience is that although true, the data will tell you something, applying experienced-based reason and intuition is the critical step to turning data into something that drives the business. This brings us back to the fundamental question for our marketing plan next year…should we invest in additional brand awareness spend (media and content) as a part of our marketing mix? Smaller companies, like CHG Healthcare, don’t have the budgets to invest in sophisticated models such as those P&G put together, yet we still need to to make decisions regarding our budget and marketing plan choices. So, my recommendation as we work to put together our recommendations for next year is spend time in the modeling, in the data and analytics, but to more importantly apply your reason and intuition and recommend what you believe to be the best plan to grow our business. In way of professional introduction, I am the head of marketing and corporate sales for a Healthcare Staffing company specializing in helping physicians and other healthcare professionals find jobs. My company, CHG Healthcare, is the leading physician staffing company in the country, and one of Fortune magazine’s top places to work in the United States (3 years running in the top 20 in the country). I feel luck to work there, and be a part of an organization that helps make a difference in healthcare while also building a great organization for our people. I am hopeful to retire at CHG, whenever and whatever that looks like…..too far away to think about. I am sure you will hear a lot more about this on here later. The path to here took many turns, many of which I will talk about at a later time here, but one of the more interesting turns is my move into marketing. I went to school originally thinking I was going to be a chemical engineer. My aunt, and role-model, was a chemical engineer by training and went to work at Procter & Gamble where she ended up as a General Manager leading a division. As a young-person, I looked up to her so much. So, I started school with that career path in mind. As I started school, I realized that I actual loved where she landed and not necessarily her journey and that there were many ways to get to that landing. Pretty quickly, I switched to a business major in Finance and Accounting. My logic was exactly that of an 18 year old. I liked math, and finance was the closest thing to engineering in the business school. One of my first classes in undergraduate business school was a marketing class, and ironically I hated it. I found the professor, an adjunct who was up teaching at Miami of Ohio on a sabbatical from Procter & Gamble, pretty worthless. It seemed like it was her way or the highway, and I didn’t agree with much of what she said. As students asked her questions, it appeared like she was always making things up on the fly (at the time I was convinced this is what all marketers did) versus grounding her teaching based on facts and experiences. She had no credibility to me. As I reflect on that now, 19 years later, it was a pivotal moment for me. First, I decided that there was no way I would ever be in marketing (ha ha!). Second, I decided that I always wanted to work hard to be humble versus trying to be right or authoritative. Finally, I decided that my business existence would always be grounded in facts and hard work and not smoke in mirrors. Quite ironic that this rough introduction to marketing became one of the moments I believe helped me find my way professionally. It has helped me to establish my philosophy as a marketer. It helped to create in me an underdog mentality; always out to prove that marketing isn’t smoke in mirrors and that creativity and logic can come together into a set of ideas that when implemented with excellence can help to grow a business.